A section of the first 10km dual carriageway from Selangau bazaar is expected to be completed before the coming Gawai Dayak celebration. SIBU: The first 10 kilometres of dual carriageway which is part of the ongoing Pan Borneo Highway from Selangau bazaar heading to Sibu town, is expected to be officially open to traffic before Gawai Dayak celebration this year. 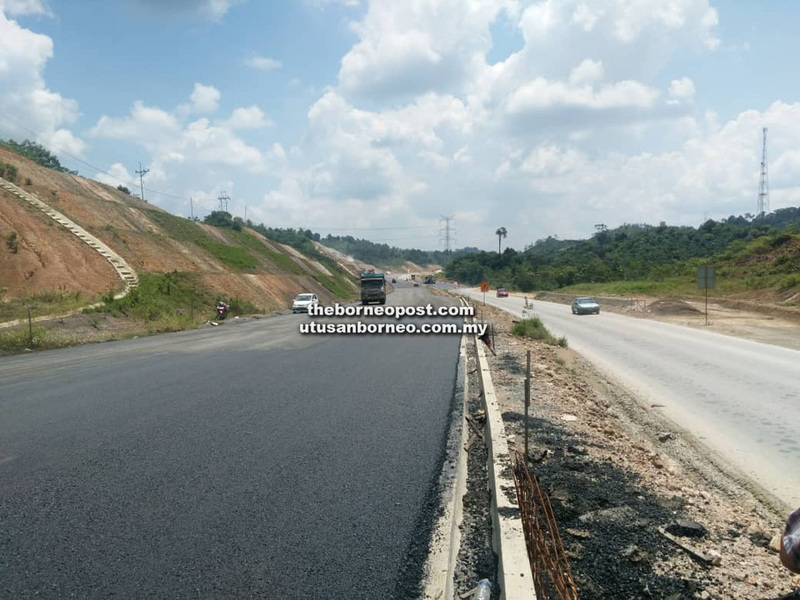 WPC08 Musyati Mudajaya JV Sdn Bhd project manager Baharuddin Samsudin said the contractor has worked very hard several months ago to ensure that portion of the dual carriageway could be utilised before the coming festive season. Baharuddin said his side expected more length of the dual carriageway would be open after that and would be carried out in stages. He told reporters this after attending an event to celebrate Five Million Man-hours Without Loss of Time Injury (LTI) at the project site office of Musyati Mudajaya JV Sdn Bhd in Selangau yesterday. We hope with the opening of the first 10-kilometre stretch, it will at least bring a bit of comfortable driving. Baharuddin said to build a highway on an existing road was actually a big challenge because of the need to manage traffic flow at the same time. Besides, the rain would pose another big challenge because of the need to deal with the damaged parts of the road caused by rainwater as well as heavy vehicles using the stretch of road. He said his side was always doing its best to ensure the road continued to be in good condition till the completion of the new highway. First 10km dual carriageway from Selangau bazaar may open to traffic before Gawai Borneo Post Online.